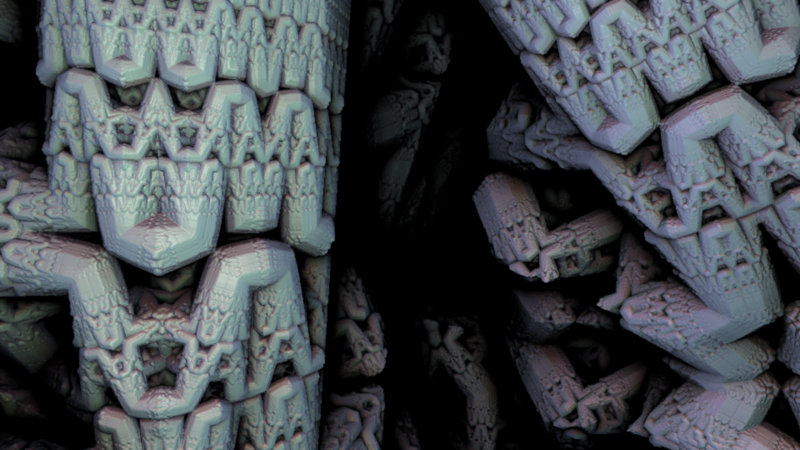 Last year I got fairly obsessed with distance field raycasting and fractals. Recently a few developments in that field have rekindled my interest in the whole phenomenon. 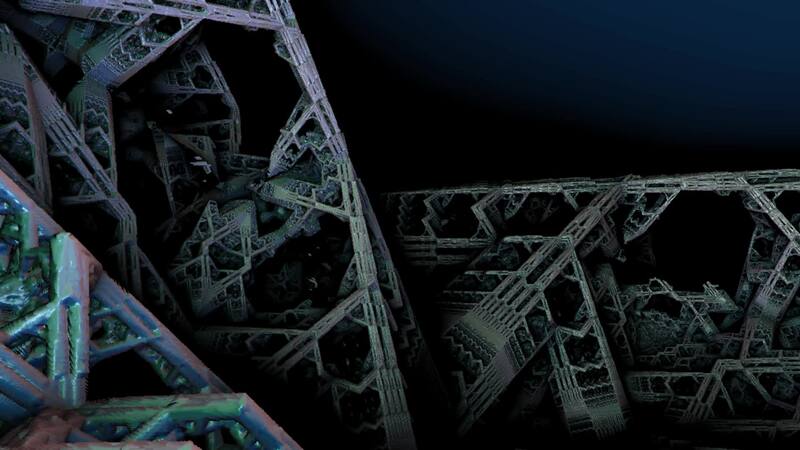 Most of the people playing around with the Mandelbulb and it’s variants back in early 2010 were either mathematicians or graphics programmers, and while there were some technically impressive images and movies, they mostly weren’t that well composed in an artistic sense. 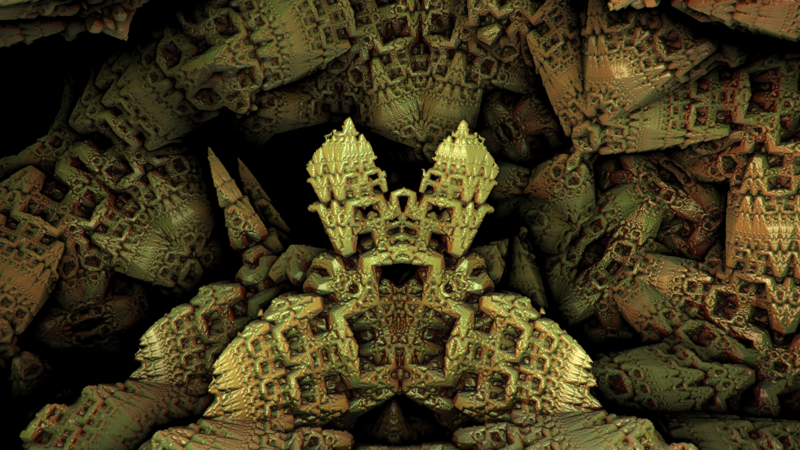 More recently the tools for creating these fractals have become popular amongst artists in on-line communities and some really amazing work is being produced. 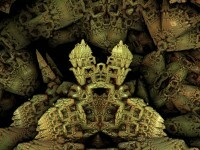 MandelBulb 3D seems to have become the most popular piece of software used to compose fractal images and movies. Perhaps the single best feature of this program is the ability to shares the settings of your images by copy pasting a twitter-eque short string of hieroglyphics to other people online. Often people attach these settings as a comment on their image, so other people can reproduce these works or ‘remix’ them for their own creations. I’m particularly found of pieces by Hal Tenny like this. 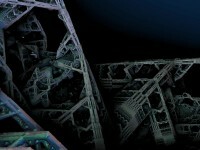 His pictures are inspired by a earlier image named ‘Spudsville‘ created by lenord that included the parameters used in the image, allowing spin off works to happen. I’ve been working away on a new fractal explorer application of my own. I’ve experimented with various optimizations to the conventional GPU ray casting techniques and I think I’m making some progress. 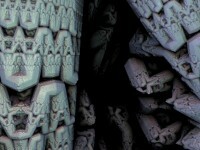 This entry was written by Andrew Caudwell, posted on at 3:01 am, filed under Uncategorized and tagged Fractals. Bookmark the permalink. Follow any comments here with the RSS feed for this post. Post a comment or leave a trackback: Trackback URL.